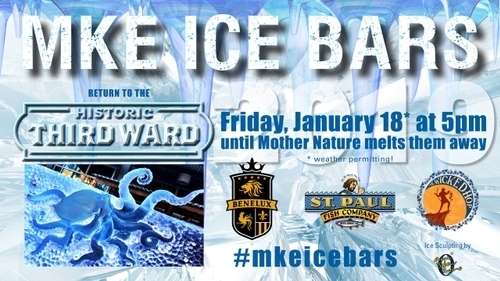 Enjoy drinks outside in three different hand-sculpted ice bars located at Café Benelux, St. Paul Fish Company, and The Wicked Hop. 150 blocks of ice weighing 23 tons will brighten up the corner of Broadway and St. Paul Avenue in Milwaukee’s Historic Third Ward. Each bar will have a signature ice feature and a portion of proceeds will be donated to charities. St. Paul Fish Market has chosen Fisher House Wisconsin to receive a portion of the proceeds from this event. Stop down for a drink and support FHW! This event will run until the sun melts away the ice bars!